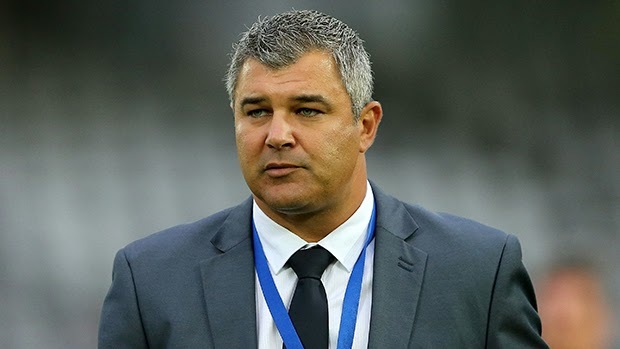 Moss: "We had our chances"
Home » AUSTRALIA A LEAGUE » Moss: "We had our chances"
Central Coast coach Phil Moss said his side’s inability to finish was the reason the Mariners lost 1-0 to Perth Glory in Gosford on Sunday. The home-side dominated the possession stats and despite Moss saying the Mariners played the better football, they couldn’t capitalise on any of their 11 attempts on goal. “I thought we completely dominated the first half and I’ve said all along that I’m a process driven coach and I’ll stick by that,” said Moss after the match. “I want my teams to play a good brand of football, a brave brand of football and play it out of the back. “The first half I thought we did that and completely dominated and it was just missing the finishing touches in the top third. Perth took the lead in the 42 nd minute when Nebojsa Marinkovic scored a stunning free-kick in the top right corner. Danny Vukovic, while substitute Malick Mane went close in the dying stages of the game. “We had some chances on the back of some fantastic build-up play, so really impressed but obviously the result is the disappointing aspect of tonight’s outing,” said Moss. The Mariners have only scored twice in four games this season and have recorded just one win to sit in seventh place, but Moss hasn’t given up hope just yet. “You’ve gotta score goals and I’ve tinkered with the top four tonight to try and find the go ahead goal. “We’ve either got a keeper standing in the way making great saves or we’re missing the target or hitting the crossbar as was the case last week.